In February Trusted Reviews reported on an anonymously leaked internal Rockstar memo. The document contained information about recently released Red Dead Redemption 2. 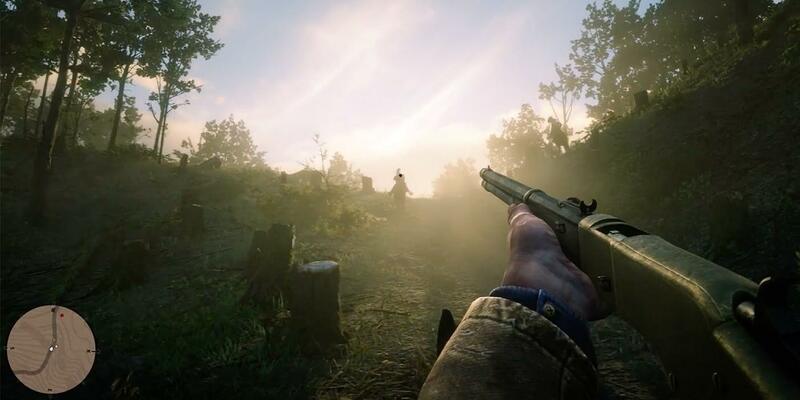 Some of the details it listed included that the game would have a first-person mode and that it would eventually have an online battle royale mode. Multiplayer BR remains to be seen, but the game did ship with an optional first-person perspective. Today the website has pulled that article and replaced it with an apology. Not only that, TR agreed to pay more than £1 million to charities selected by Take-Two. Those charities are the American Indian College Fund, the American Prairie Reserve, and the First Nations Development Institute. "Take-Two takes security seriously and will take legal action against people or publications who leak confidential information." The way that the letter is worded, it almost sounds like it was a private agreement. However, Kotaku reached out to Rockstar and confirmed that the arrangement was a settlement to litigation brought against Trusted Reviews. “Take-Two takes security seriously and will take legal action against people or publications who leak confidential information,” said a Rockstar spokesperson. It is unclear whether the document in question was obtained legally or whether TR broke any US or British laws in reporting the information. As far as is known, the memo was leaked through confidential sources. If this holds true, it sets a rather alarming precedent for news media outlets. Leaked information is par for the course in this industry — sometimes sources can be revealed and sometimes they can’t. This situation goes far beyond reporting gaming rumors. If a company can successfully take legal action against a news outlet with which it does not hold an NDA with, it could stifle whistleblowers and put a lid on other anonymous reporting. This is not good for a free and open press. Maybe the leaker is someone from inside Take-two, so in order to maintaining that source of info they agreed in this. Next time they get info like this from "Trusted Source", they have to throw it out in reddit or any torrent site, and then report on that! It shouldn't have to be that way, but I'm afraid you're probably right.